An effective temperature-controlled solution is integral to the day-to-day running of many different businesses. Whether you work in food retail and manufacture, hospitality, the pharmaceutical industry or any other sector where goods need to be kept at a specific temperature, finding the right cold storage room is of paramount importance. 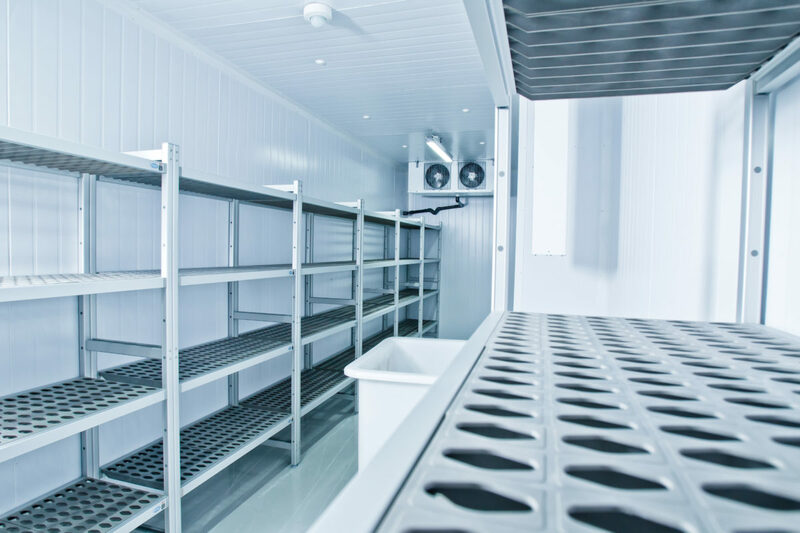 Effective cold rooms are a crucial aspect of the services you provide, preserving your products at a safe and optimal temperature and ensuring that – when they are sold to customers – they are received in the best possible condition. Here at MTCSS, we understand that businesses are different; they offer a variety of different products, dependent upon the industry to which they belong, and these products need to be kept at a wide range of different temperatures. A cold storage room that works perfectly for one company or business could be completely irrelevant and unsuitable for another; which is why all of our cold rooms are made bespoke to order and tailored to your individual needs and requirements. Our team of experts will guide you through the process, from initial planning to installation, ultimately creating the perfect walk-in cold room for you and your business. Each cold room we create is unique; however, they all fall into one of two broad categories: industrial or modular. We currently offer bespoke-made industrial cold rooms, suitable for a wide range of industrial contexts. This type of cold room is typically used to store large quantities of produce and, thanks to their high-quality construction and industry-leading thermal properties, they can significantly boost the efficiency and overall success of your business. Whether you need to store products at room temperature or keep them chilled or frozen, we can help and – with a range of access options and accessories to choose from – we can devise an industrial cold room to suit your specific needs. Our range of modular cold rooms are commercially-sized and perfect for use in a variety of different business environments. Constructed from a series of PUR-insulated panels, they offer excellent insulating properties and their lightweight nature makes them quick and easy to build on site. This type of cold room is the ideal option if you want a highly effective and professional cold storage solution with minimal disruption to your business. Collectively, our team of experts at MTCSS have over 50 years’ experience in the cold storage industry and they can offer tailored advice and guidance on the best cold room for you and your business. All of our industrial cold rooms and modular cold rooms are constructed from the best quality materials, adhering to relevant building, hygiene, and safety standards, whilst meeting the needs and requirements of the industry in which you work. So why not give us a call today on 01886 833381? Alternatively, you can contact us via sales@mtcss.co.uk. Let us create the perfect cold storage room for you! Mrs Caroline Green at A&S Green & Co.
"Where once the runner bean market was declining, the market for sliced beans is now significantly up. To meet this demand, we need high quality, reliable products, but also an after sales service that is efficient. We put a lot of trust in MTCSS because they are experts in their field. I tell them what I need the products to do and they do it."